Using Arcareach | Sigma an S interface can be extended up to 5km by installing an NT-1 at the far end. Many Digital PBXs offer ISDN S-bus interfaces as standard. The S interface can operate up to 0.9km (3000ft) under certain conditions and in most instances this is sufficient for normal use. 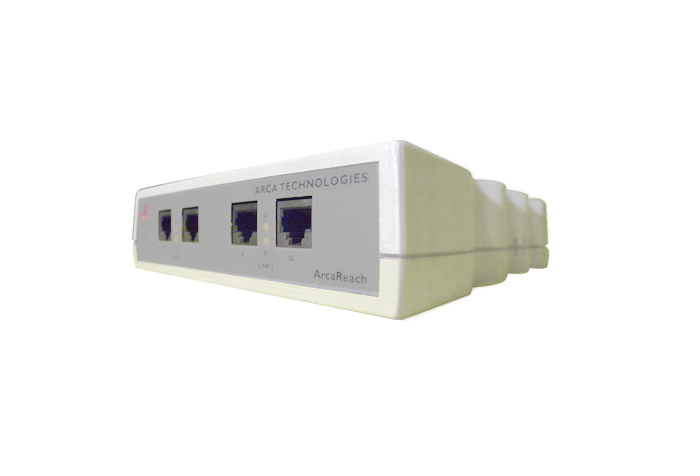 When there is a requirement for the S-bus to be located much further from the PBX, the Arcareach | Sigma can be used to turn the 4 wire S-bus interface into a 2 wire U interface, supporting 2BIQ encoding. The U interface cabling can theoretically be up to 5.5km (18,500ft) although in practical situations it may be less than this. 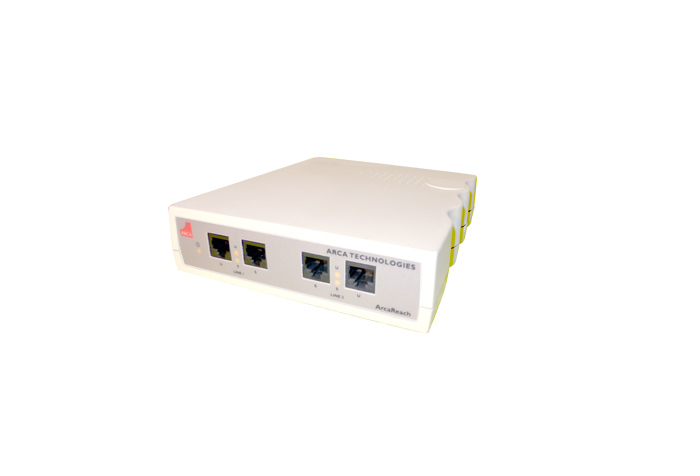 The U interface can again be turned back to an S-bus interface using a standard NT-1 at the remote end where the ISDN terminals can be attached. 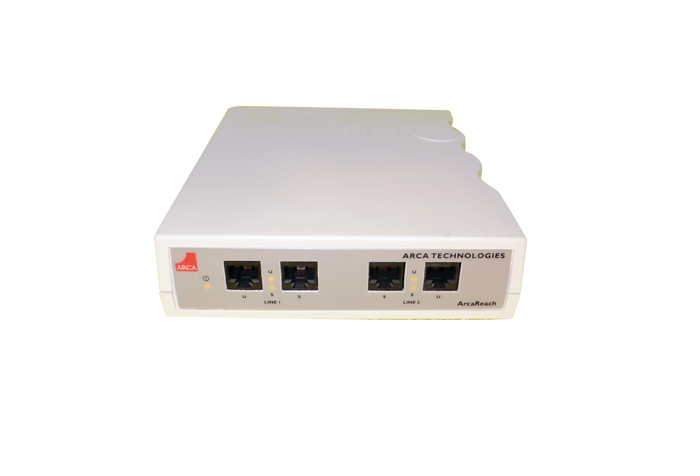 Arcareach Sigma can optionally provide a voltage supply on the U interface to power the NT-1s if required. Convert from S to U interfaceThe Arcareach Sigma can also be used with other equipment when only an S-bus interface is supplied but a U interface is required.